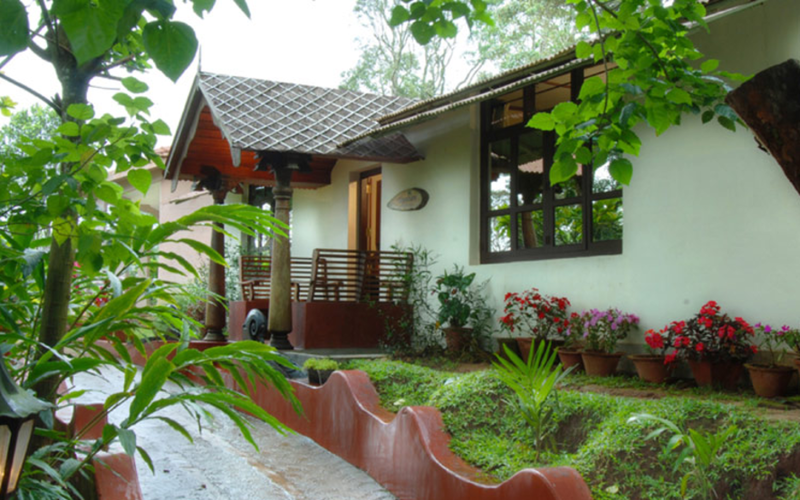 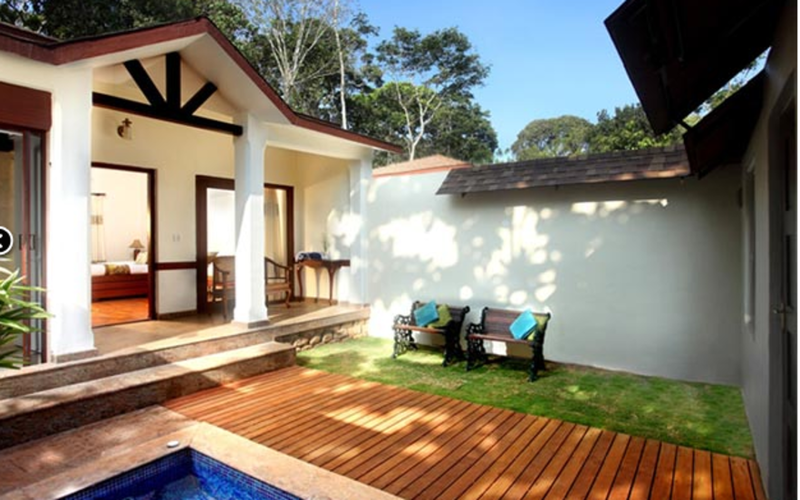 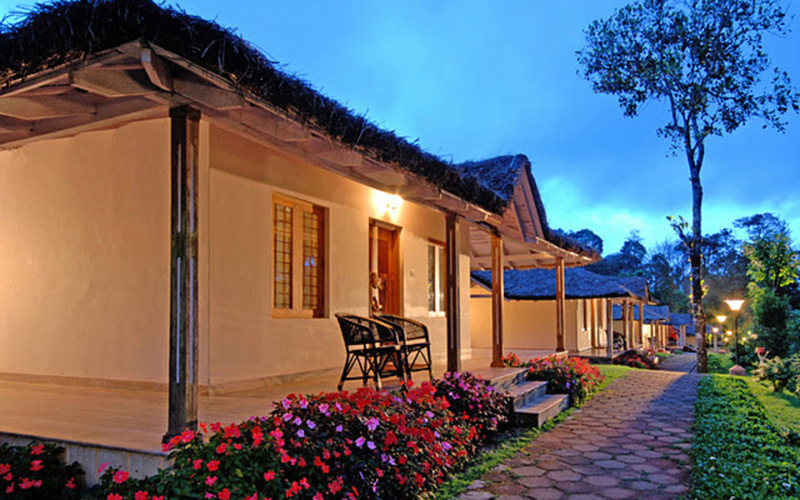 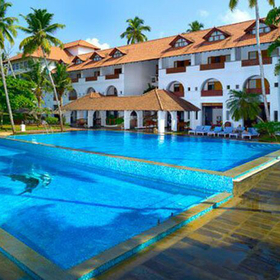 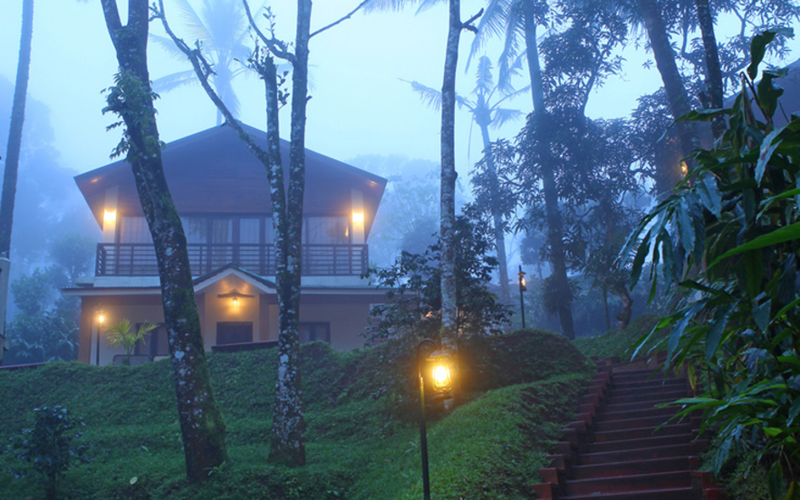 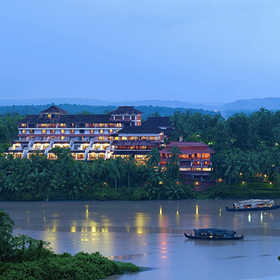 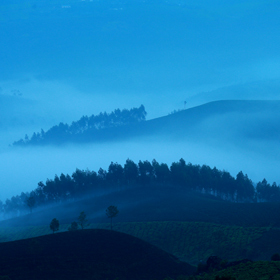 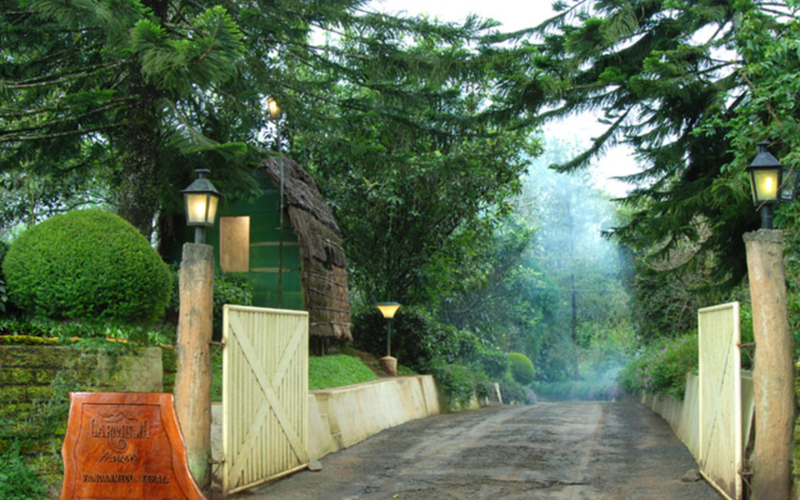 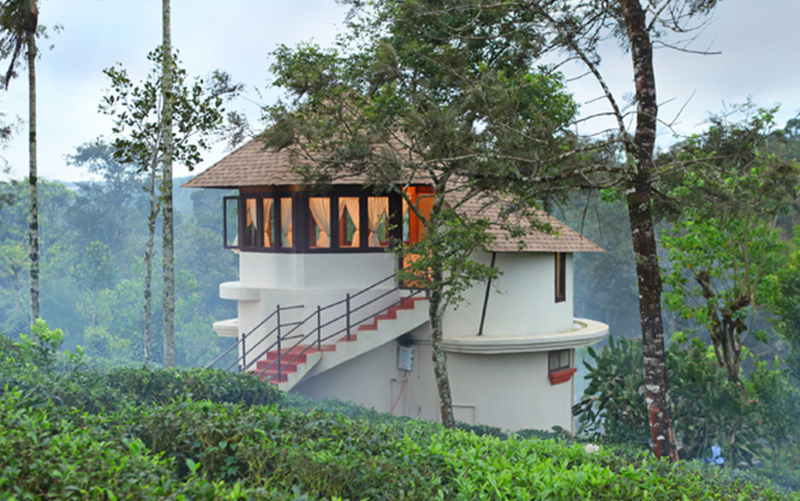 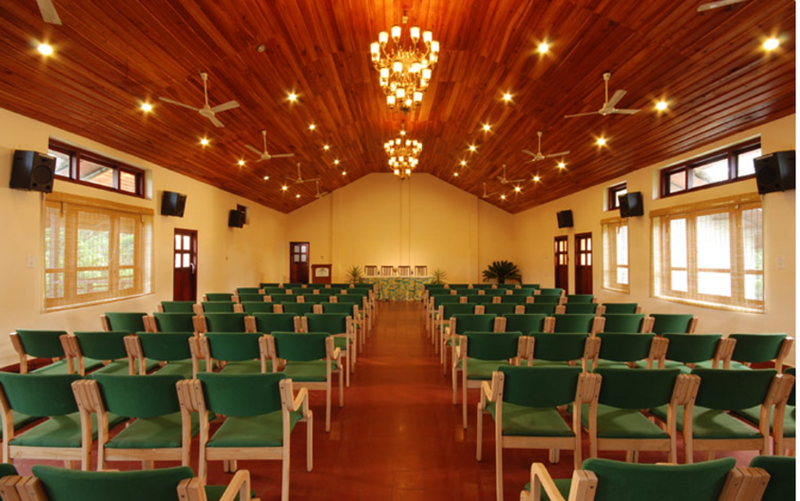 An eco-friendly resort located amidst a thick cardamom and tea plantation, the 'Carmelia Haven' located some 4000 feet above sea level offers the perfect getaway for those looking for respite in the lap of nature. 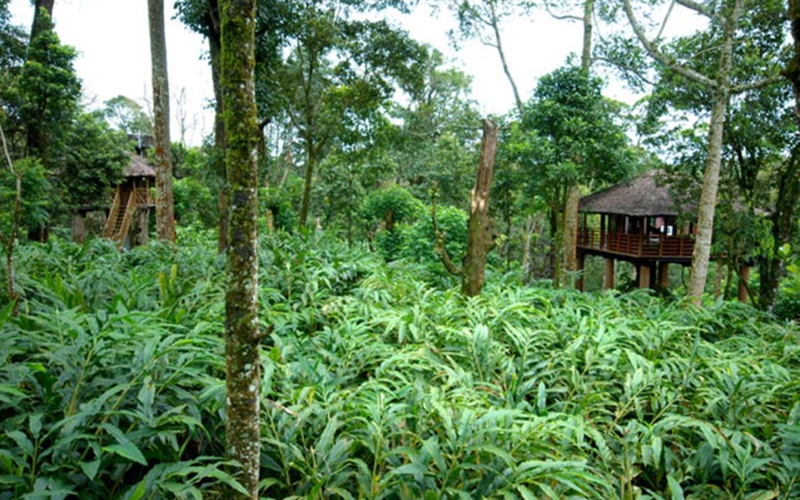 The variety of spices and trees that grow in the plantation are fascinating; Take a plantation tour to see cardamom, pepper, clove, nutmeg, ginger and cinnamon or treat yourself to different fruits including pineapple, mango, guava, banana, orange, jackfruit, litchi, papaya and rose apple. 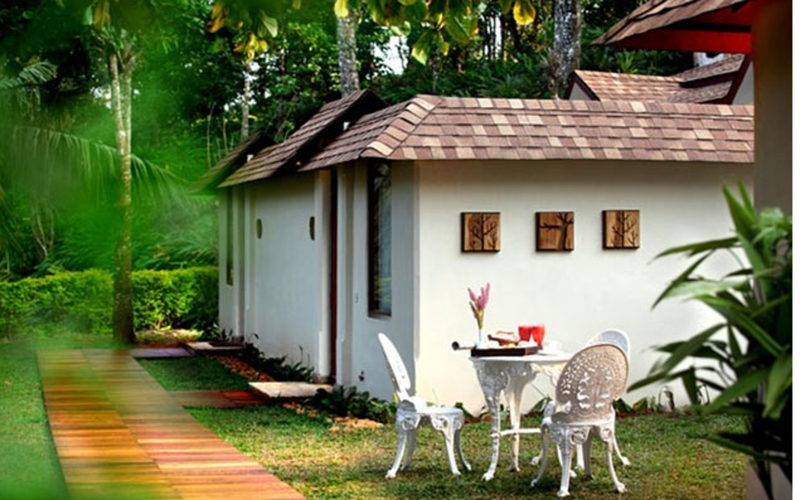 The resort offers 25 well-furnished rooms which include cottages, suites and tree houses, all of which offer splendid views of the surrounding plantation. 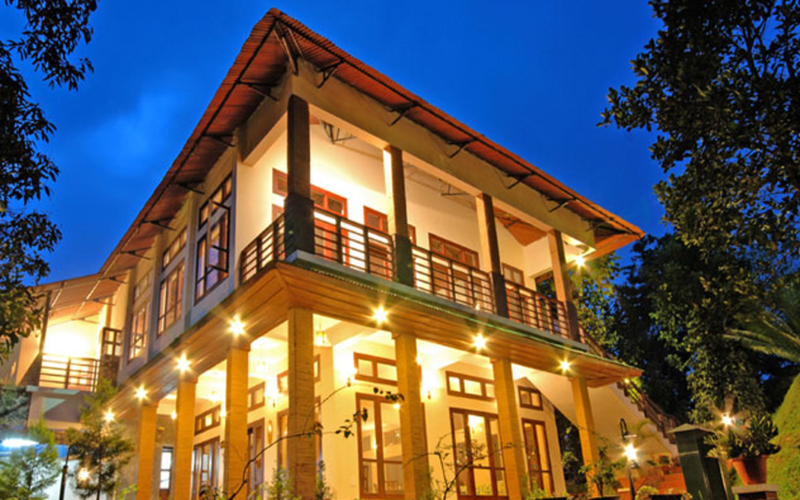 Staying here, guests also have the option of exploring the Periyar Tiger Reserve nearby and going on jungle treks on elephant back. 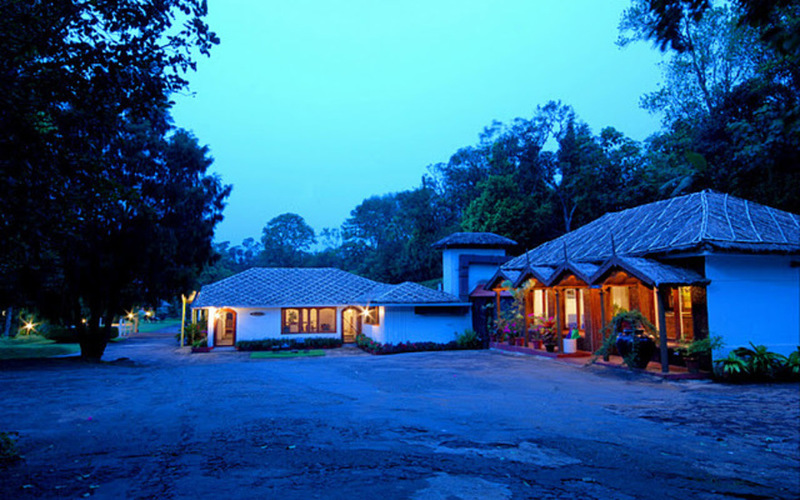 Treks and visits to the wildlife sanctuary. 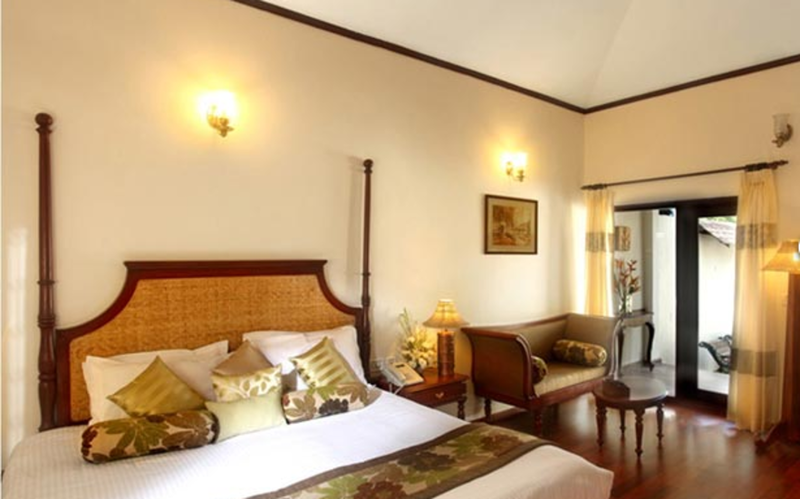 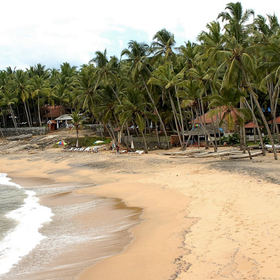 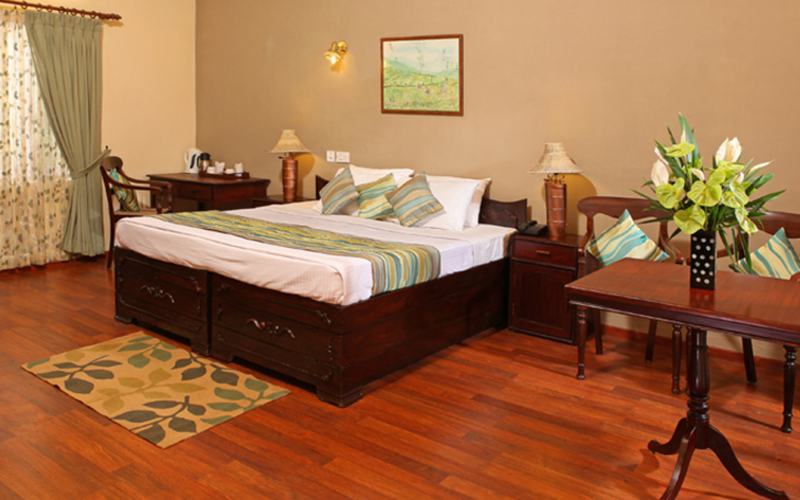 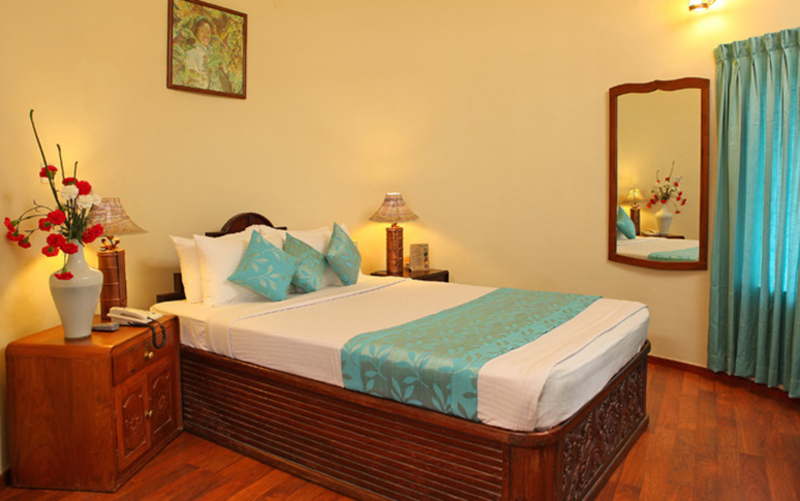 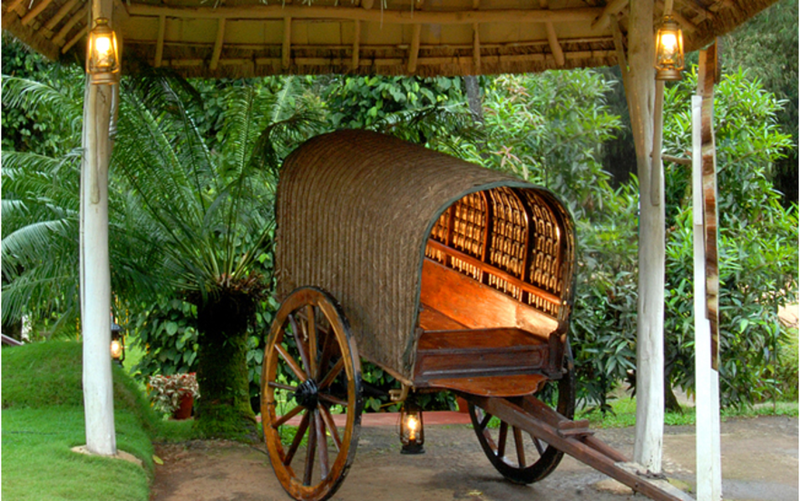 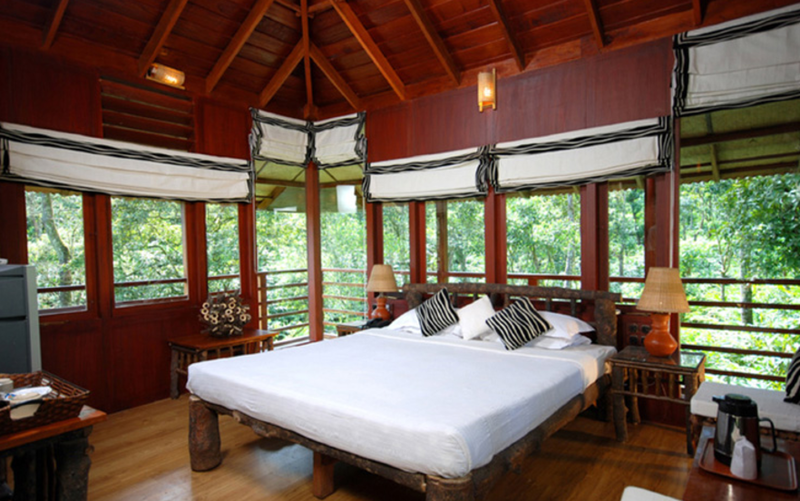 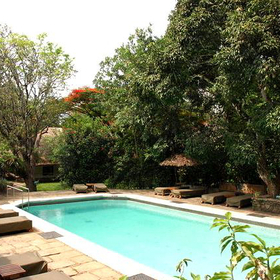 25 well-equipped rooms including a tree house, suites and cottages. 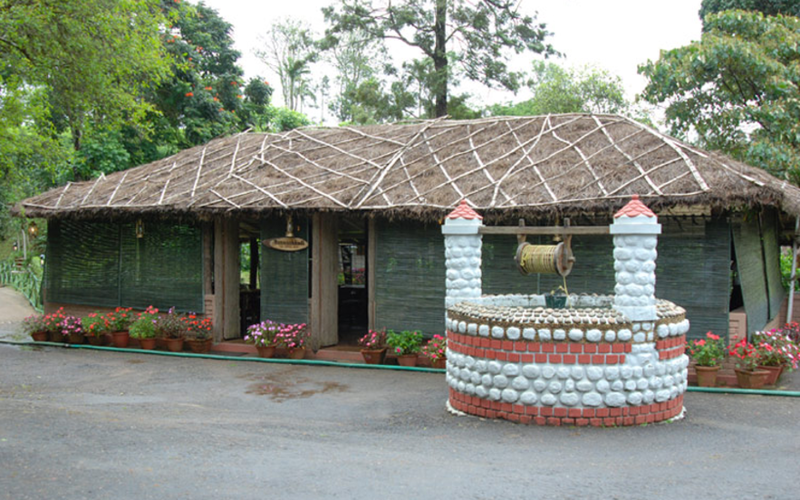 Multi-cuisine restaurant offering local and International cuisine; open air barbeque pit.